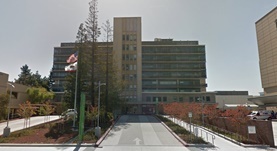 Dr. Deborah Kass is a renowned interventional radiologist in Redwood City, California. She received her medical diploma from the University of Wisconsin School of Medicine and Public Health. Dr. Kass completed her medical education with a residency in radiology at Stanford University. This doctor is certified by the American Board in diagnostic radiology and internal medicine and her subspecialties are vascular & interventional radiology. She works at Kaiser Permanente Redwood City Medical Center and at Sutter Hospice. She was awarded the CMS Stage 1 in 2011. In 2004 she published the article “Computer-aided detection in diagnostic mammography: detection of clinically unsuspected cancers“ in collaboration with other doctors. Dr. Deborah Kass has contributed to 1 publications.